Blame it on Coco-(as in Chanel) she was the very first fashion designer to deem the wearing of pearls as CHIC. 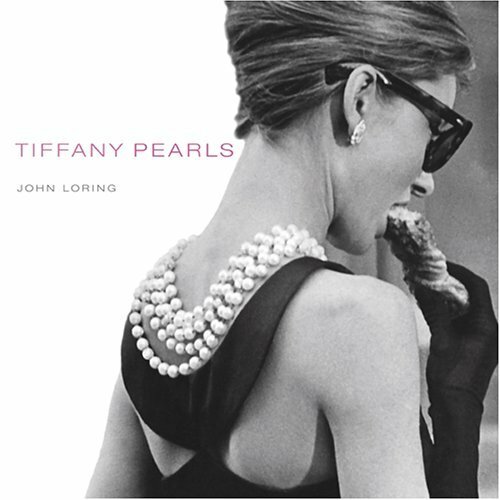 Audrey Hepburn in the movie classic Breakfast at Tiffany’s put the wearing of multiple pearl strands on the fashion map. Jackie Kennedy, Michelle Obama, Grace Kelly, Sarah Jessica Parker, Rhiana…the list goes on and on… Proof positive that the wearing of pearls is here to stay! Pearls-be it single or multiple strands, real or faux, are a Glamour Girls best friend for making an outfit go from ho hum to hello gorgeous. When it comes to investing in a set of pearls whatever your budget-buy the best you can afford. I promise this is one wardrobe staple that you will wear again and again. 1. Layer multiple strands to really make a statement. 2. Don’t be afraid to mix different colors of pearls together when layering. Try (pink, blue, crème, brown) for a luxe look. 3. Have fun – try tieing a satin ribbon or attaching a rhinestone pin mid strand . Greetings from Georgia! Just saw your weblog. Actually took in your post, I’ll pass it along! Have a remarkable day! Its wonderful content : D, regards for posting . Hi! Very helpful tip on this page! Thanks for that awesome posting. It saved MUCH time Thanks for this nice post you’ve made! Everyone loves what you guys are usually up too. This type of clever work and exposure! Keep up the excellent works guys I’ve incorporated you guys to my personal blogroll. I love what you guys tend to be up too. This kind of clever work and exposure! Keep up the awesome works guys I’ve included you guys to my personal blogroll. Hi! I realize this is sort of off-topic however I needed to ask. Does running a well-established website like yours take a large amount of work? I am brand new to blogging however I do write in my journal daily. I’d like to start a blog so I will be able to share my own experience and feelings online. Please let me know if you have any kind of recommendations or tips for brand new aspiring blog owners. Appreciate it! Reply: Writing a blog takes time and effort. I recommend that you write what you are passionate about, write often and author your own content to express your unique point of view.Best of Luck! You are not the common blog writer, man. You surely have something important to contribute to the net. Such a special blog. I will return for more. Nice job, really thought it was nice you can be positive that I’ll be back! How you manage to get such info . cool..